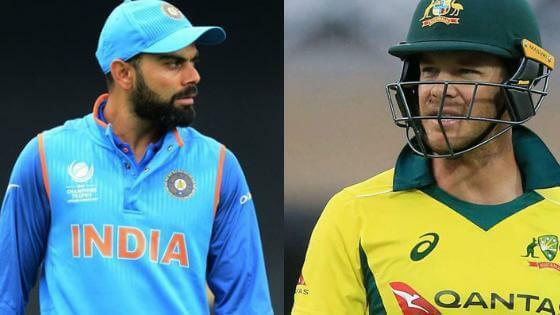 The India vs Australia 2018 contest is one of the fiercest rivalries in cricket. The Men in Blue once again brace themselves for a stern test down under. This time, the tour will have series across all 3 formats that will last over 2 months. The 2 teams will start with 3 T20Is that will be followed by 4 Tests and 3 ODIs. Usually, the tour starts with the Test series upfront but this time, the T20Is precede the longest format of the game. The visitors won’t mind this as they will get the feel of the conditions before the all-important Test series. Previous India’s tour of Australia consisted of only limited overs series. The ODI series was won by the hosts 4-1 while India went on to clean sweep the T20Is 3-0. Last year, Australia had toured India for a series of ODIs and T20Is, both of which were won by the hosts. The focus of this tour will remain on the Test series that is better known by the name Border-Gavaskar Trophy. India is the current holder of the trophy after winning the last Test series 2-1 at home. But it was Australia that had emerged victorious by 2-0 in the 2015 Test series last played down under. India, despite performing well on the England tour, lost the Test series 4-1. They would be itching to improve on the overseas record. Australia will be without their premier batsmen Steve Smith and David Warner who are serving the year-long suspensions for their involvement in ball-tampering. Despite their absence, the Kangaroos will be a tough side to beat in their own backyard.